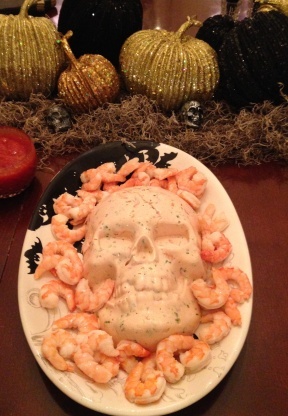 Here's some great Halloween Seafood ideas for the pescatarians in your party. Food is a major part of any party and it's good to be able to make something a bit different and also cater for different diets. Once the kids (little and big) have got back from the Trick or Treat, then it's food time. If the weather's good, then it's ideal to have a barbecue but it's also good to have some other dishes. 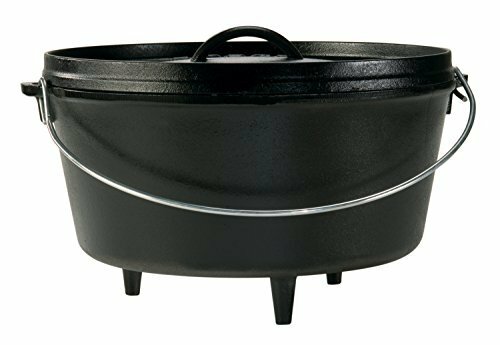 Use cauldrons for serving soup or try the neat coffin shaped bread bowls to serve chowder. What a great idea - fish fingers, home made or shop bought, with a triangle of tomato to make the finger nail. Dip in 'blood' - okay, tomato ketchup! 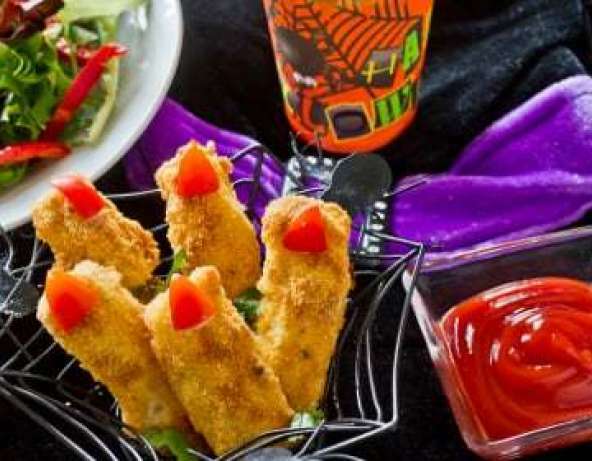 This recipe is from Fish is the Dish - spooky witch fingers. Yuk! No - it's a shrimp cracker spread from Meaghan at 4SonsRUs. Is this gross enough for your kids? 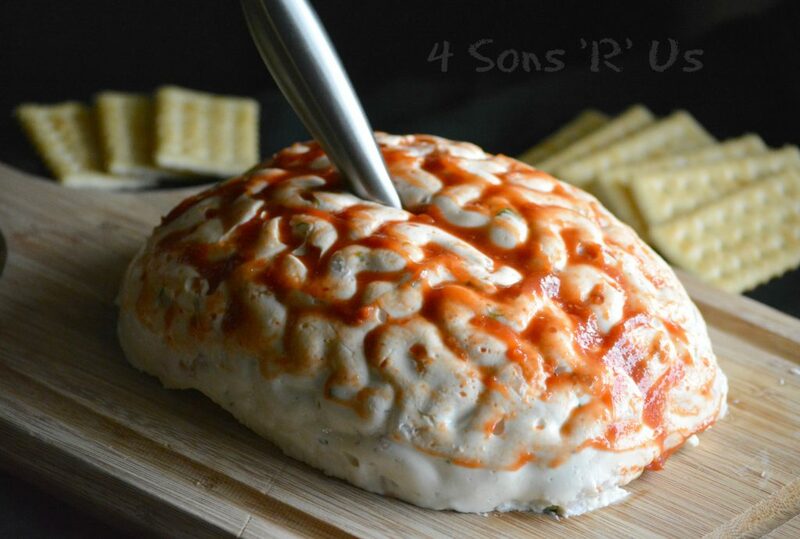 She has a super blog featuring all kinds of recipes, crafts and DIY tips. 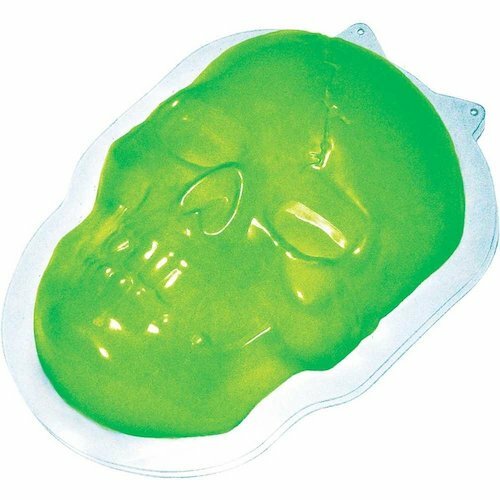 or you could use a Skull Mold also from Amazon. 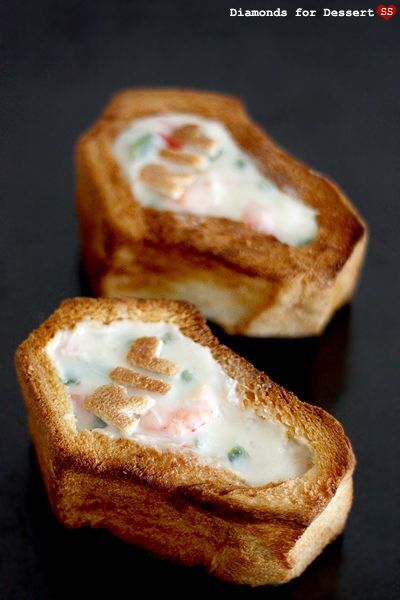 This shrimp recipe from Genius Kitchen is a variation of the shrimp spread. It's one of those things that people will either love or hate! 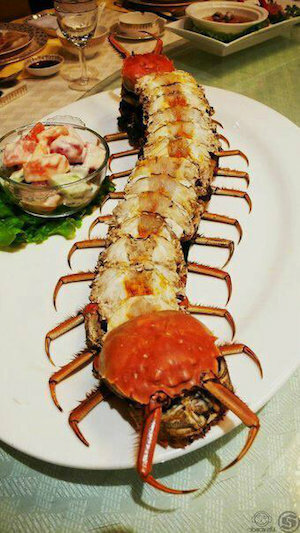 You could make this as long or short as you like - just shell and dress crabs and then line them up on a platter. There's two videos here from Rick Stein showing you how to clean a crab. Or of course, you could buy them ready dressed! I manage quite well dressing crabs using a metal skewer and the handle of a teaspoon, but you can buy lobster and crab crackers and picks. You might want to do that if you're serving whole crab to a crowd, so they can use them to pick the meat. 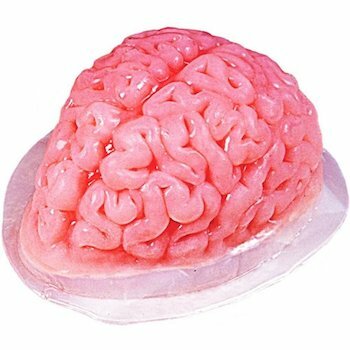 Again, there's a huge range at Amazon which you can get delivered within a few days. 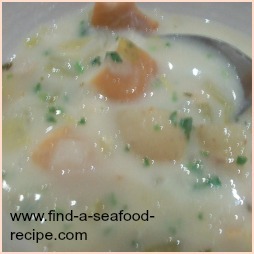 This is a super easy seafood chowder recipe which cooks in the crockpot or slow cooker. You can leave it there to serve or put it into a Witch's Cauldron (Dutch Oven) and you can serve it in coffin shaped bread bowls. You use an uncut loaf, cut it into three, trim, hollow out, baste with butter and then bake. 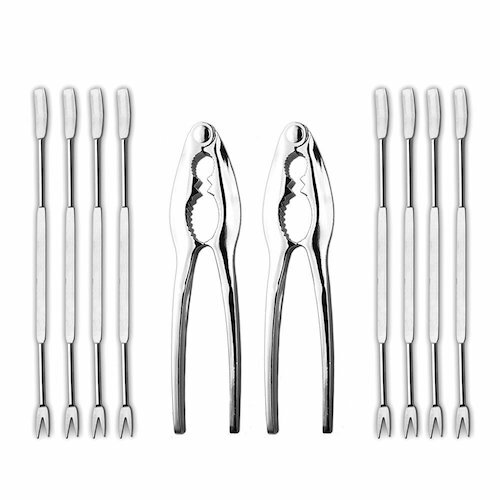 They don't go soggy and people can then eat the serving bowl, leaving you with just the spoons to wash - YAY!! The full instructions are here at Diamonds for Dessert. 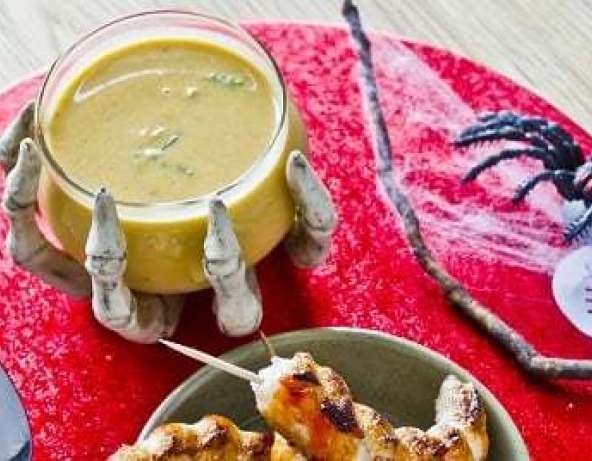 This is a Spicy Squash Soup with Shrimp on skewers (UK King Prawns!) but you could easily use the inside of your pumpkins instead. Waste not, want not. It's from Fish is the Dish and the recipe's here.